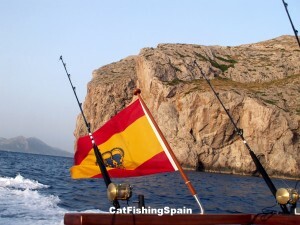 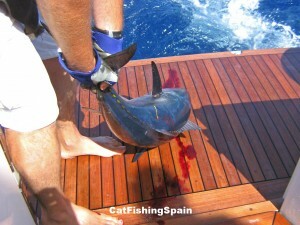 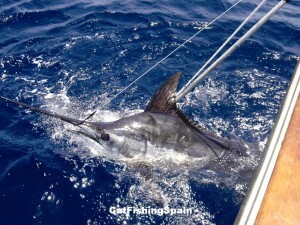 We offer holidays sea fishing in Majorca trips as well as the other Balearic Islands, trolling and sea fishing in Spain where we can catch species like blue fin tuna, albacore, swordfish, shortbill spearfish and dolphin-fish. 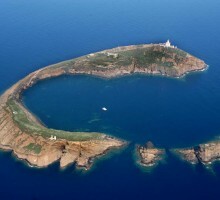 Also we offer you a chance to visit one of the most heavenly, beautiful and pristine enclaves still possible to find in Spain, the Natural Park of the Columbretes Islands, located 30 miles away from the coasts of the province of Castellon. 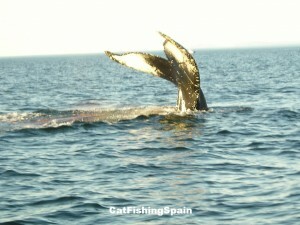 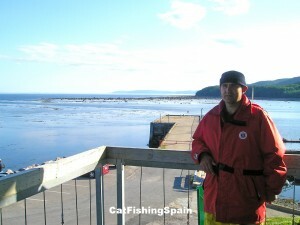 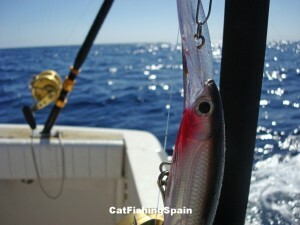 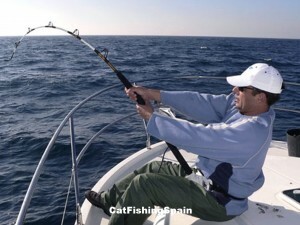 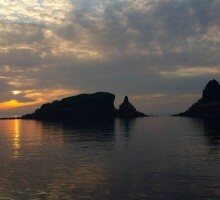 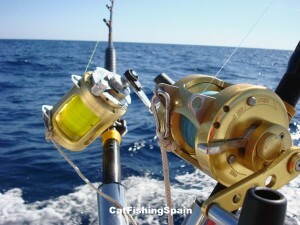 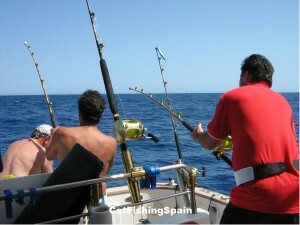 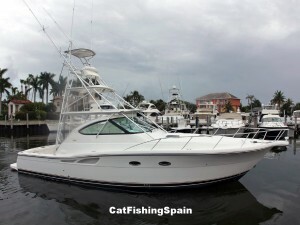 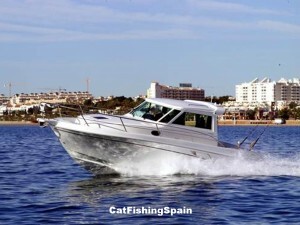 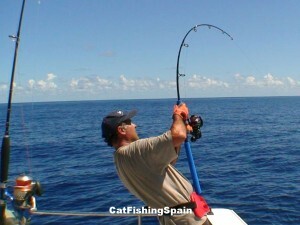 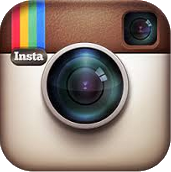 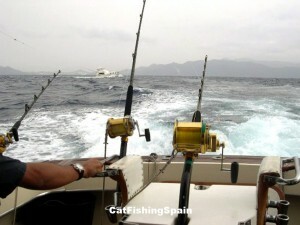 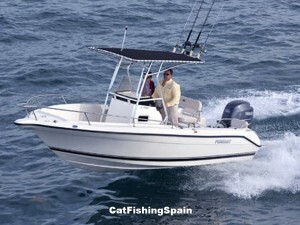 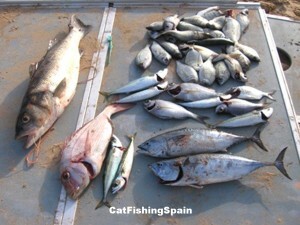 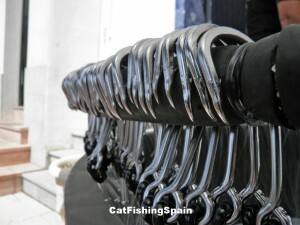 The favourite fishing method is trolling, or "currican", in the different fishing grounds along our coastline. 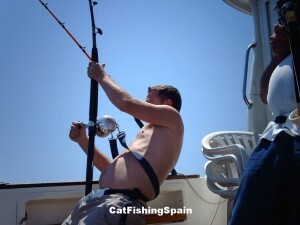 Naturally, this fishing in the sea, is from a boat and it is possible to alternate this with some days of diving, if you would like to do this as well. 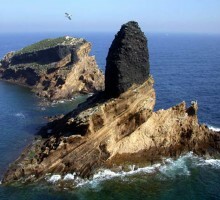 We offer you a chance to visit one of the most heavenly, beautiful and pristine enclaves still possible to find in Spain, the Natural Park of the Columbretes Islands. 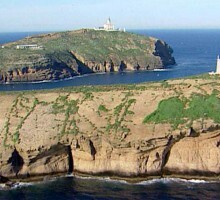 It is a unique island area on the east coast of Spain, a small archipelago in the Mediterranean Sea, of intense ecological interest. 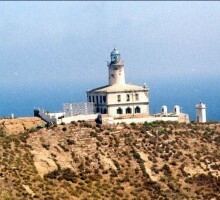 It is formed by a series of islands located 30 miles away from the coasts of the province of Castellon. 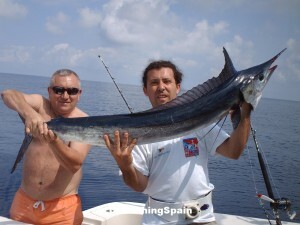 Also, we offer fishing off the coast of Majorca as well as the other Balearic Islands, which have rocky bottoms rich in fauna and flora and makes for very interesting fishing. 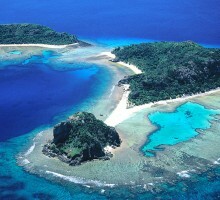 Here you will find groupers, scorpion fish, red scorpion fish, congers and morays. 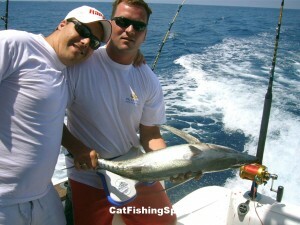 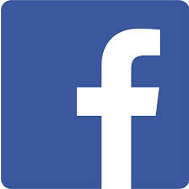 Other common species such as seabass, gilthead and dentex, can also be found. 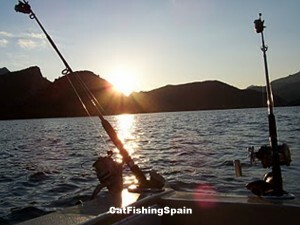 On the southeast of Majorca, it's only 6 miles from land, to be offshore, which means that within 20 minutes you can be fishing on the high seas. 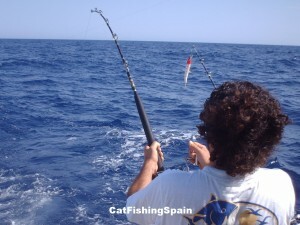 The trolling and deep-sea fishing season starts in May, which is when we start catching species like blue fin tuna, albacore, swordfish, shortbill spearfish and dolphin-fish. 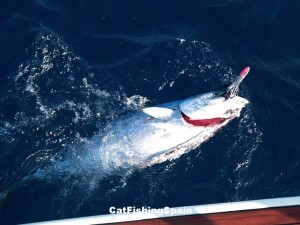 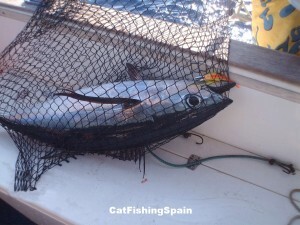 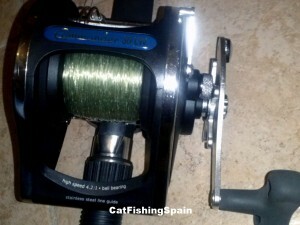 The blue fin tuna fish, passes through the channel of Ibiza, on its way to the Gulf of Valencia, passing by the Delta del Ebro, to spawn near the Balearic Islands, the Gulf of Leon and other areas. 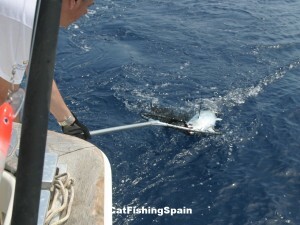 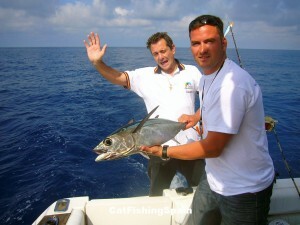 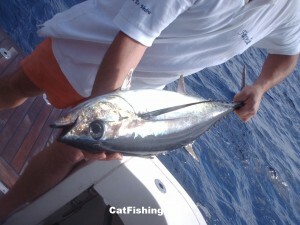 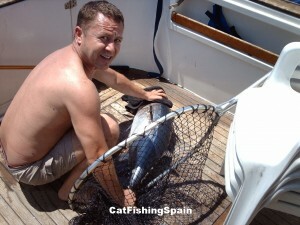 During the months of May to August, the albacore make their way north on the south side of the Balearic Islands. 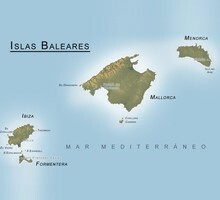 In May and June, good areas are situated on the south of Majorca. 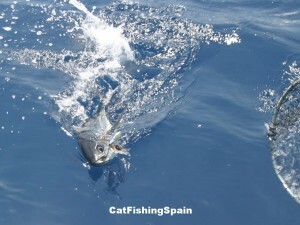 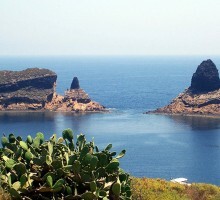 In June and July, the albacores move more towards the southeast side of the island, to zones such as "Ses Mamelles" and at the end of July and August, they are found much closer to Menorca. 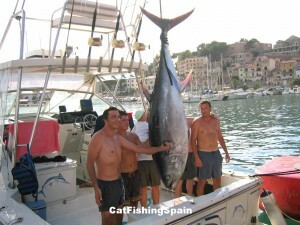 August and September are good months for fishing giant blue fin tuna and giant swordfish, up to 300kg. 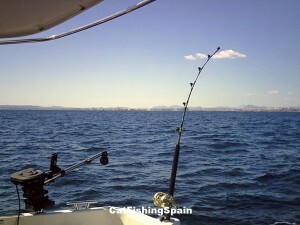 (660 lb) Chumming is usually done as well and the best areas are between Majorca and Ibiza, north of Cabo Formentera and in an area located on the east of Porto Colom and Porto Cristo. 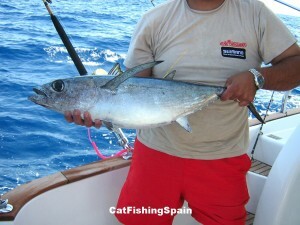 When autumn arrives, it is possible to practice light trolling and spinning and to fish for small tuna and dolphin fish, between 1-10kg. 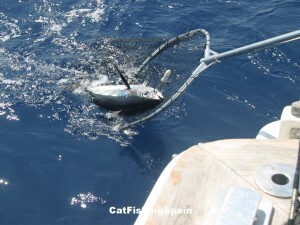 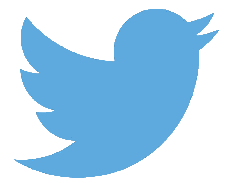 (2-22lb). 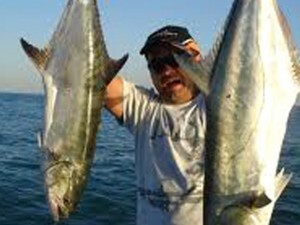 The rest of the year, you can practice jigging and especially bottom fishing and with this you can catch grouper, scorpion fish, red scorpion fish and conger.